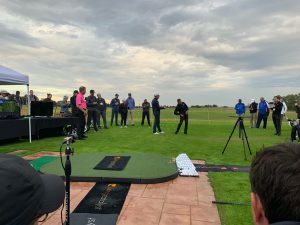 With over 100 PGA Professionals attending from across the world, this 3-day ‘camp’, hosted by Andrew Rice, is something a bit special, bringing together golf coaches all with the same goal – improvement and learning. If you are getting this many professionals to invest in themselves and travel thousands of miles to be here, there has to be a pretty good reason for it. The list of guest speakers was what drew me to the event as, like any industry we work in, we have to learn from the people that have gone before us – the people at the pinnacle of their field. They hold the information, and while it all may not be relevant to you as a golfer, it’s my job, as a coach, to filter and sieve out the best bits so that we can make improvements in your game. The 3-day conference provided a broad spectrum of elite level coaches and experts who were willing to share information that helped take their players to the top of the game. 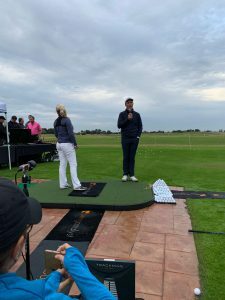 Sean Foley (swing coach to Justin Rose) and Kevin Duffy (tour fitness trainer) talked about their experience of working together to make the swing more functional to prevent injuries to the golfers they coach. It was fascinating to watch the two coaches give a lesson to see how they worked brilliantly together to improve the functional movement of the swing. Danny Willet is a recent beneficiary of Sean and Kevin’s great work as they have helped guide him back to fitness and back to the winners circle again. 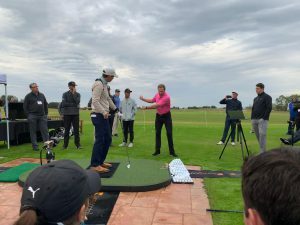 James Sieckman (former short game coach to Charley Hoffman) showed how his process is making a huge difference to every golfer and not just tour players. Each week James helps golfers with the dreaded chipping ‘yips’ through an improved functional technique and a stronger mental routine. Grant Waite gave great insight into his playing career on the PGA Tour and how he is applying this to his own coaching when working with the everyday golfer and also his tour players, including recent winner on the PGA Tour Charles Howell III. Grant, known for his technically efficient swing, provided a fantastic view on how some coaching of the past wasn’t quite up to the standards of today. A name you might not know is Sasho Mackenzie. Although not a golf professional, his influence on the golf industry over the last few years is very important. As a physicist, Sasho is doing some fascinating studies on the forces and torques produced in the golf swing and while you may ask, ‘what’s this got to do with a good golf swing?’ The answer is that it’s allowing coaches to understand how to generate clubhead speed more effectively and for all golfers, that’s very important! These were just some of the highlights from the three days that included many more presentations from other leading names in the golf industry. Some were very relevant and some weren’t so much but if you are interested in hearing more about the trip and some of the information shared, please stop by the Pro Shop or get in touch. I would love to hear from you!